Imogen's Typewriter. 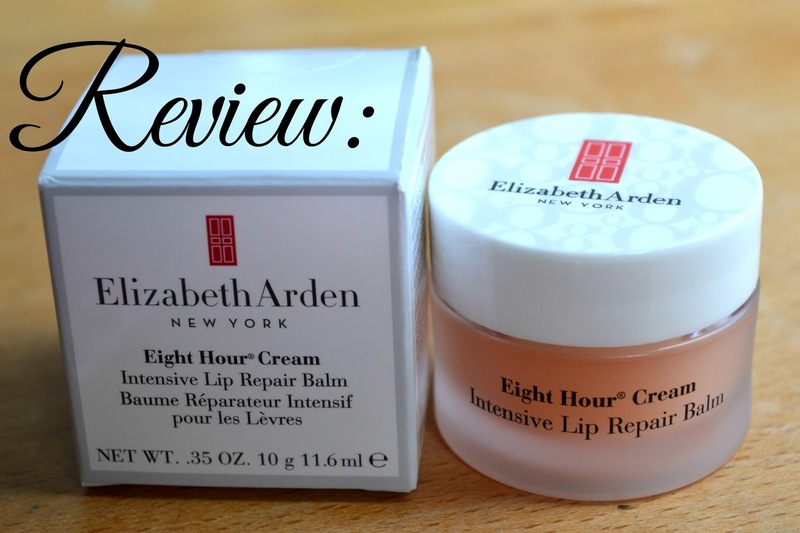 : Beauty Review: Elizabeth Arden Eight Hour Cream Intensive Lip Repair Balm! Beauty Review: Elizabeth Arden Eight Hour Cream Intensive Lip Repair Balm! This is the Elizabeth Arden Eight Hour Cream Intensive Lip Repair Balm and boy, is that a unnecessarily long name! But it is a good product, so if it feels the need to have a nine word name then so be it. This comes in a gorgeous plastic tub that reminds me a lot of the famed Rêve de Miel by Nuxe but nowhere near as heavy which is great if you want to travel with it or have it in your bag because even though it looks cute, it won't weigh you down. I do feel like it doesn't need to be so big for the amount of product in it but hey, we can't have everything. It's what is inside that counts. So inside it a quite soft balm that goes on easy and I have a thing where I can't stand anything sticky or slimy on my lips at all- lipgloss, lipbalm, it all gives me the creeps. And this is definitely quite balmy on the lips. Not thick or tacky but you can feel it's there, it doesn't sink in very quickly. But this I can deal with because the results are worth it. Soft skin. Any dry, chapped, sore or irritated lips from the winter weather just smoothed away with one overnight application. It does also have a slight tingle to it because it has mint in it and a whole lot of other great ingredients. But if that is something that would bother you then steer clear. I just thought I would add a swatch for good measure just because in the pot it does look orange/coral but that doesn't translate on the lips. It just adds a nice glossy sheen. I do use it at night though because lipstick doesn't go over it well, something lighter would be better. The only other downside is the price. £20 for 10g is a little out of my budget personally but if you've tried drugstore and it just isn't working for you then this might be a good option for you. You can get it here! Have you tried the 'Elizabeth Arden Eight Hour Cream Intensive Lip Repair Balm'? What is your night time lip balm? Hi there, I have nominated you for the Liebster award! Please check out my blog for more info. Thanks!